Today we are going to take a look at something you cannot get anymore. Parts and pieces that graced our rides in days past that were noted for some special characteristic, either good or bad, will be featured in this recurring theme from time to time here. I call it "Review Of Parts Past", but that will get shortened to "ROPP", so there! Today's featured part is the WTB Vulpine 29"er Tire. My Vulpines are still rolling, but are showing their age! This review is for a tire called the Vulpine. I never knew what that word meant, actually, until just recently. I always figured that it had something to do with a mystical animal, but as it turns out, it has to do with foxes. I don't know, but whomever designed this tire was crazy like a fox. They didn't know it then, but it is a perfect tire for gravel riding on a 29"er or a drop bar bike that can take a 2.1"er, like a Fargo. I received the set I am still riding on as test tires for Twenty Nine Inches back probably almost ten years ago. I had several tires from WTB to test back then. The Stout, some other all around trail tire I cannot recall the name of, and these XC racing treads. None of the three are still in production, but this tire, The Vulpine, deserves to be. Oh, I've told WTB. Believe me, they know all about how I feel about this tire. I have said something to them every year for years. But you might wonder, "why", and I am here to tell you! So, let's get into why these tires are so good for gravel riding and why WTB should be making this tire again. A very "Terrene Elwood" looking affair, but there is more to this tire than meets the eye. Somehow or another, the designer of the Vulpine, (I assume it was Mark Slate, as he does most of the WTB tires, if not all of them), hit the jackpot for gravel riders when he made up this design. A fast, minimalist tread in the center with graduating outer knobs from shallow to deeper. Ostensibly this was done for straight line speed and cornering grip, but the gravel acts differently than dirt. 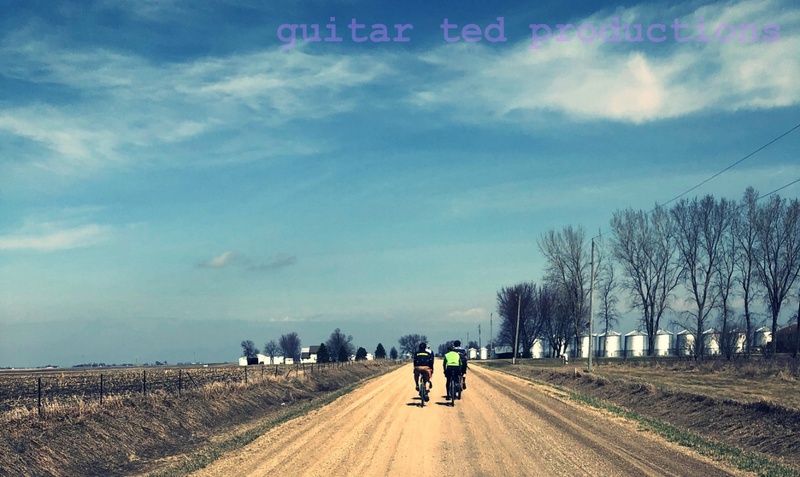 In gravel, those gradually taller side knobs give the tire a lateral stability in the loose stuff, and help propel you forward in peanut butter mud and loose, sandier gravel. But there is one more, odd, unique characteristic that the Vulpine has which makes it a standout gravel tire. The casing is kind of flattish in the middle and then falls away sharply where the bigger tread blocks take over. This made the Vulpine corner oddly on dirt, but on gravel, where high lean angles are rare, it does a great job of keeping the fast part of the tread floating up and over the loose stuff and that contact patch is narrower. More like a 40mm tire. The shallow tread in the middle is just enough for finer, gritty gravel or fine dirt. But it never slows you down. The casing wasn't fantastic, but it was decent enough. The Vulpine damped vibrations in an average way. Nothing spectacular there. The weight was in the ball park, but I don't have a current figure to share on that. One nit- It it was never offered in a tubeless ready version. The Pofahl has had these tires on it pretty much since day one. If I Could Change Anything: If the Vulpine were to come back again, I'd obviously want it to be offered in WTB's excellent TCS tubeless ready version with a 120TPI casing in their "TCS Light Casing" technology. Then I would probably tweak those side knobs a bit to optimize them further for gravel. Finally, I'd offer three sizes: 700 X 40, 29" X 2.1", and in WTB's "Road Plus" 650B X 47mm width. Some might say this tire and the Riddler are almost the same deal, and while that is a fair point, the Vulpine has that unique side treads and the way that the casing is shaped is cool for speedy travel. That may not translate to a 40mm tire though. Too narrow a casing, perhaps. That's my take on the Vulpine. A great tire for something it was never thought to be designed for in the beginning. I'll have my Vulpines till they are in tatters, which won't be long now! Hopefully I'll find something to work on the Pofahl before long. Funny timing. I am riding my original Fargo vulpine tires this weekend on 2-day gravel trip on my Marrakesh. I agree that WTB should bring them back! I'd love to see WTB bring these back. Using Nano's on my Fargo now & they're good but not as good as the Vulpines. WTB, listen to GT! Man that looks like a great pattern for them to bring back! I love my Riddler 37's for fast gravel, but the center tread wears quickly. This looks like it'd stand up to more use. How about something like a Rock Razer. I think it an "enduro" tire, but looks mostly flat in the center with big lugs on the edges. I'm thinking of putting these on my new Velo Orange Piolet in the 29"x2.35 size. These might be a nice replacement. Looks like they have not made it to the USA just quite yet. Just found this blog. I still have a good set of Vulpines. Loved these on gravel. Gave me so much confidence on the descents at 40 mph+ and rolled fast on pavement as well. Just don't have a frame for these right now other than my MTB that I don't ride on gravel with.